This one is also in German. I wrote it at the same time as I did “The Longest Way”, because I felt that it was important to tell the story in two different ways. Here’s the difference: while “The Longest Way” is raw and personal at times, this one is more about the aesthetic aspects of the journey. What’s the difference to the travelogue? 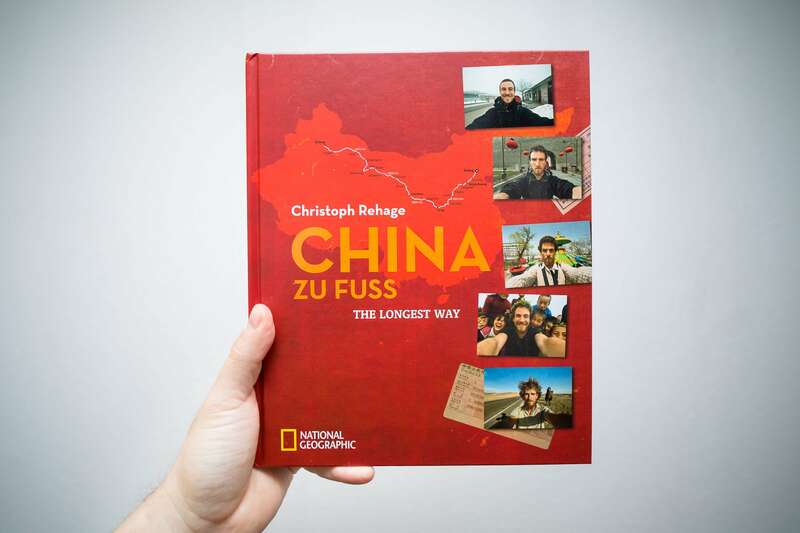 “China Zu Fuß” is a coffee table book. This means that it has a large format and glossy pages, and it is filled with photographs, maps, illustrations, texts and captions. I was lucky to be working with a team of editors from National Geographic. They were amazing – where I would see only photographs that I might need in order to tell a story, they would be thinking about many different aspects: color schemes, compositions, the viewer’s attention, the mood, etc. etc. We came up with a total 282 photographs divided into five seasons. Each chapter is bound with two different sorts of paper and accompanied by a text that I wrote specifically for it. The texts are a bit more lyrical than in “The Longest Way”. Sometimes I even find things that other travelers have seen, men and women like Ibn Battuta, Sven Hedin, Mildred Cable, Lin Zexu and the great Li Bai. 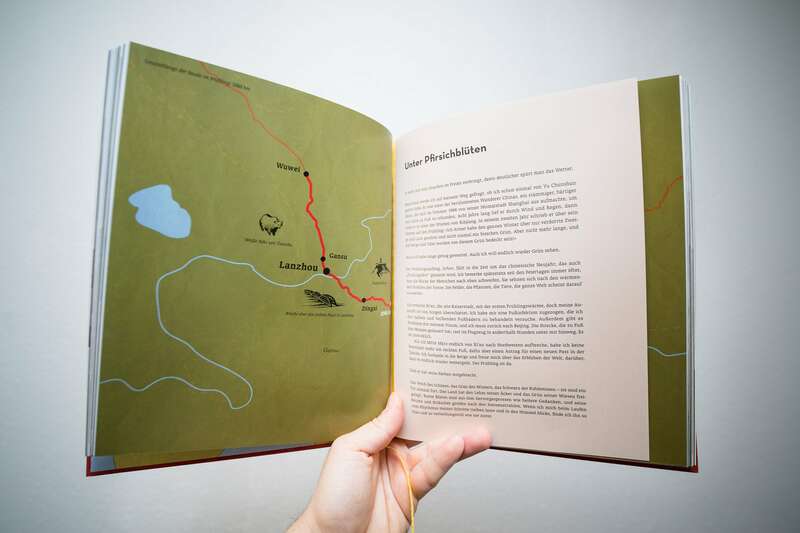 The goal was to make a coffee table book that told the story of The Longest Way in its unique way.